Max Weber, the father of modern sociology, was born on April 2, 1864 in Erfurt, Prussia, to parents Max Weber Sr. and Helene Fallenstein. He was the eldest son of the family and was an extraordinarily bright child. Max Weber Sr. was an active lawyer with political affiliations with pro-Bismarckian “National-Liberals”. The Weber house was frequented by eminent intellectuals, politicians and scholars, therefore, the environment that Max grew up in was nourished with philosophical and ideological debates, and social stimulation. During his school years, Max was an avid reader and devoured classic literature. After finishing high school, Weber was enrolled in the University of Heidelberg where he studied law, history, philosophy and economics. He had to take a one year break after three semesters to complete his services in the military. He resumed his education in 1884, at the University of Berlin. In 1886, he cleared his bar exam and in 1889, he received his Ph.D. In 1893, Weber got married to Marianne Schnitger, a distant cousin and began his academic career by teaching economics at Freiburg University in 1894. The following year, he returned to Heidelberg where he was offered the post of a professor. Weber’s inaugural address at Freiburg in 1895 marked the peak of his career, where he made an analysis of the political situation of Germany after five years of study of the Junkers, the working class and the liberals. Through his address, he gave birth to the concept of liberal imperialism. The year 1897 was a tough year for Weber, following his father’s death, he suffered a serious mental breakdown, and experienced bouts of depression, anxiety and insomnia which rendered him unable to work. Plagued with mental illness, he was forced to spend the next five year in and out of mental institutions. He fought through his illness and eventually recovered in 1903. He resumed working and took up the post of an editor at a renowned social science journal. In 1904, Weber was invited to deliver a lecture at the prestigious Congress of Arts and Sciences in St. Louis, Missouri. In 1905, he published his highly acclaimed essays The Protestant Ethic and the Spirit of Capitalism, which associated the growth of capitalism to the money accumulating tactics of Protestants, particularly Calvinists. His essay fuelled his fame, inspired several intellectual minds and made Max Weber a household name. He resumed teaching in 1918 and also became actively involved in politics advocating sobriety and unanimous decisions. He volunteered in the medical service during World War I. Weber returned to writing and went on to publish three more books which described religion in a sociological context. Through these works, The Religion of China (1916), The Religion of India (1916) and Ancient Judaism (1917-1918), Weber provided the western world with an in depth study of the religions of the parts of the world where western imperialistic ambitions were at stake, providing the West with an opportunity to study the economic and political ambitions of the Far East and India through respective religions and cultures. He wished to construct additional volumes on Christianity and Islam, but he failed to do so upon being infected with the Spanish flu. Weber assisted in the drafting of the new constitution and in the founding of the German Democratic Party. Weber died of a lung infection in June 14, 1920. His manuscript of Economy and Society was left unfinished, which was later edited by his wife and published in 1922. 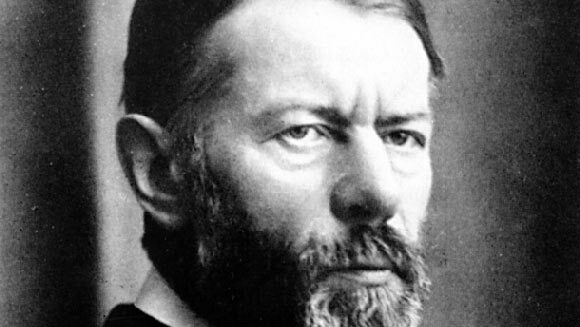 Max Weber was indeed the founder of the basis of modern sociology. He was responsible for advent of the study of religion, social sciences, politics and economics in a sociological context in Germany, which was gripped with political turmoil and instability. His contributions to sociology are immense and they continue to influence intellectual minds.